Sure, there's still some snow on the ground, but aren't you ready to pack up the car and head out for a quick in-state weekend? There are lots of reasons to take off across Colorado this month—the kids are out of school, the weather is starting to warm up, and you need a break, for heaven’s sake. And the good news is that there are tons of spring deals to be had. Here’s our roundup, all the way west to Glenwood Springs. Missed the mountains this winter? Try some spring skiing at this four-mountain resort. Attend the free Bud Light Hi-Fi Concert Series on March 5, 15, 16, and 23 for live music. Every Friday night experience a nighttime winter wonderland party for the whole family with Ullr Nights. Be sure to try out the new Breathtaker Alpine Coaster! Tip: Book a vacation rental through Frias Properties and save up to 20 percent if staying four nights or more. 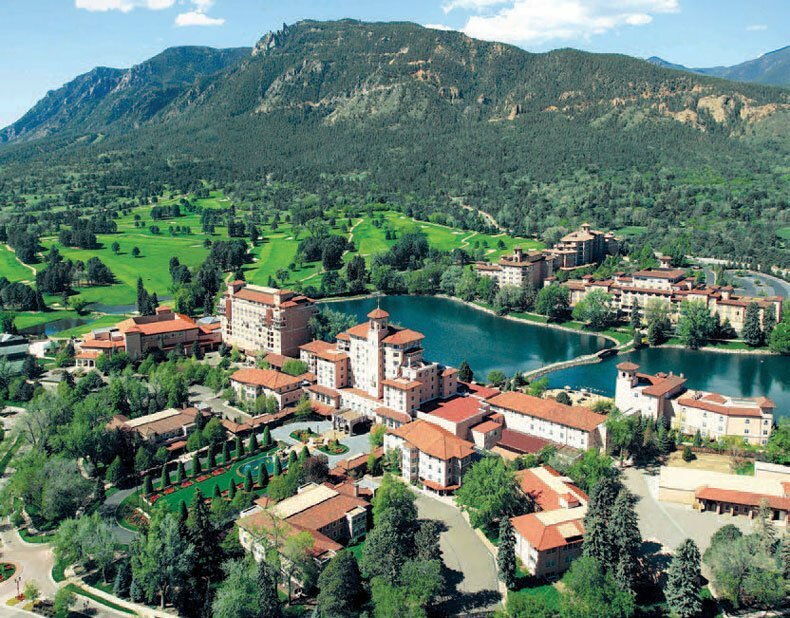 The Spring Break Getaway package at The Broadmoor provides a discount on golf green fees (except cart rental) for visits March 15–31, a discount on an adult ticket at Cheyenne Mountain Zoo, and 25 percent off suite rates, starting at $260 per night. Bonus: Kids 10 and under eat free in all Broadmoor restaurants (excluding Sunday Brunch, Penrose Room, and Restaurant 1858). For fun, explore Garden of the Gods, tour the U.S. Olympic Training Center, or hike up Pikes Peak. Though they’re about six hours from Denver, the scenic drive through national forests to the San Juan Mountains makes it worth every “Are we there yet?” moment. Purgatory Resort gives the family a chance to spend the day with wolves from Wolfwood Refuge on March 13 or compete in the McDonald’s Cardboard Derby on March 16. Stay two nights and get the third night free through March 30 at Blue Lake Ranch. If you’re trying to get away from all the urban hustle and bustle, try Estes Park. Learn about the wildlife of the area at the Moraine Park Museum, or take the kids and join a ranger at Rocky Mountain National Park for a free Snowshoe Ecology Walk, Walk in the Moonlight, or Winter Wonders talk. The kids can even become junior rangers! Stay two nights and get the third night free at all Rocky Mountain Resorts properties. If you’re looking for family fun in the snow, then Granby, an hour and 45 minutes from Denverawaits. Visit Snow Mountain Ranch for its 50th Anniversary Winter Celebration during the Stampede Races March 9–10 for guided snowshoe hikes and a winter carnival. Or visit March 22–24 during the Spring Festival for free one-hour demos of all snowshoes, skin skis, backcountry skis, and fat bikes. 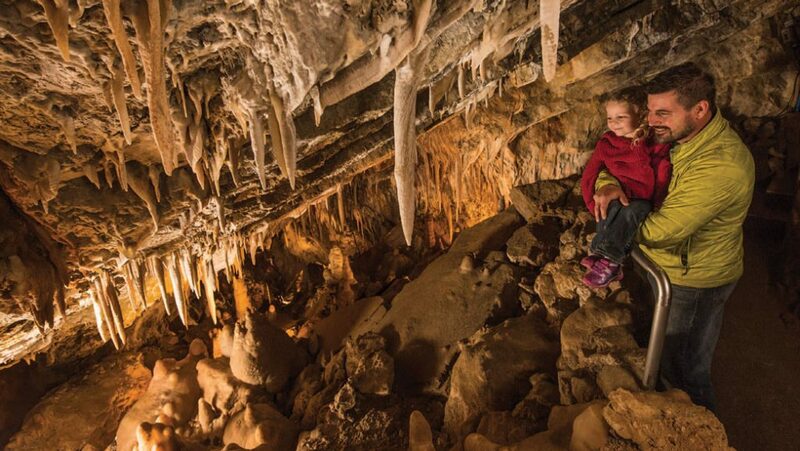 Glenwood Caverns Adventure Park reopens in mid-March, featuring a new high-capacity tram to take you to the mountaintop theme park in no time. With the Ski, Swim, Stay package, you can ski at Sunlight Mountain, relax in Glenwood Hot Springs, and stay at one of seven premier hotels in town for a great price. Plus, kids 12 and under ski free! Whether you want to hit the slopes, take a dip in the hot springs, or snowmobile through fresh powder, consider Steamboat, just three hours away. There’s a DJ dance party in Gondola Square and fireworks on the mountain every Friday this month. The Coca-Cola Friday Night Adventure Four Pack includes night skiing, the Coca-Cola Freestyle Float, and two Outlaw Coaster rides for $39. The fun continues every Saturday night with the Bud Light Rocks the Boat Free Concert Series.